We conduct external teachings in childcare and kindergartens. Lesson plans are designed within our learning methodology and customised according to the needs of the organisation. 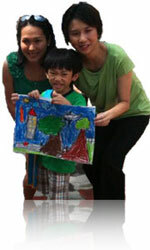 Full day art camps are also available, check schedule.